Acquiring for a passport & visa, especially for working/studying abroad is not facile. Applicants have to wait for a long time to get the approval. If you are facing the same issue and want to avoid it, contact Jobs Today now and get the relief permanently. 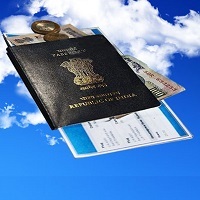 We operate from Ranchi (Jharkhand, India) and offer the visa & passport services. Our executives can be contacted and you can share the details regarding the visa applied for (student/professional). Our executives make the apt arrangement for obtaining the passport & visa for working/studying abroad. Call us on our numbers and turn to our passport & visa service.